All the protection you need when on the go. This compact first aid kit has a selection of first aid items needed for treating minor injuries, designed for home and personal use. 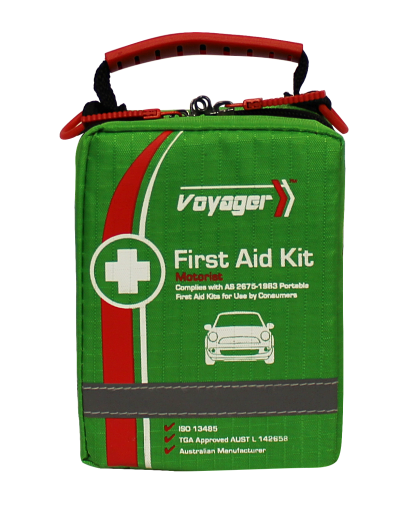 The Voyager Versatile First Aid Kit is the perfect kit for treating minor injuries, designed for personal use in the home or as a car kit. An entry level first aid kit to cover all the basics. Compact durable fabric first aid bag with tough zippers, the perfect option for those tight spots. High visibility with reflective stripes and easy access pouches.